Chakra bracelets, traditionally from the Indian and Eastern cultures, are designed to balance the seven chakras. A chakra bracelet works by using gemstones representing the chakras to take negative energy from the wearer and replace it with positive energy. 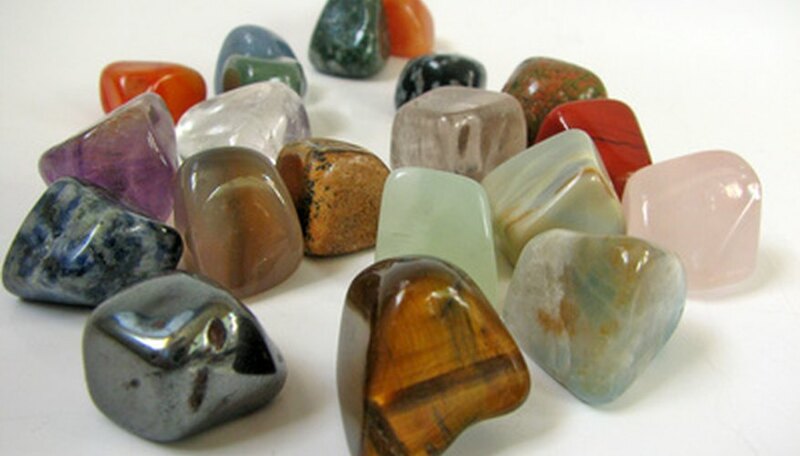 Positive energy contained within a stone is specific to each different type of stone. It is said that subtle changes in your life can occur from this transfer of negative energy to positive energy. Get beads in the appropriate gemstone for each chakra: amethyst for the crown chakra, which connects with spirit; mother-of-pearl for the third-eye chakra, for seeing beyond physical realities and understanding non-physical truth GO blue lace agate for the throat chakra, the center of communication and expression where anger is stored; green aventurine for the heart chakra, which directs one's ability to love oneself and others; yellow jade for the solar-plexus chakra, which is the receiver, distributor, and processor of energy as well as perceptual feeling; carnelian for the belly chakra, which covers basic needs including sexuality and self-esteem; and garnet, the base chakra, which holds the basic needs for security, safety and survival. Put tape at the end of the 10 inches of cable so beads will remain on the cable. String the beads in the desired order. You may add accent beads to make the bracelet the desired length. You will want the bracelet as long as your wrist is around minus one inch for the clasps. Take the tape off the end of the wire and remove the last bead. Then string on a crimp tube, replace the removed bead and then put on another crimp tube then one half of the toggle clasp of the bracelet. String the cable back through both crimp tubes and the bead and squish the crimp tubes closed to secure the bracelet. Repeat on other side and trim the excess cable. Malinda Smith began writing in 2007 for a college Web magazine and has contributed work to eHow. Her expertise is writing about social injustice and other social issues. She holds a Master in social work from Radford University and a Bachelor of Science in psychology from Virginia Tech.